We know that a quality doula will provide support for her client in whatever choices she makes. Whether or not she agrees with those decisions should not affect her care. That said, it is not uncommon for negative emotions to arise in connection with a choice her client makes, either towards her client or the care providers. Usually these emotions arise because of deep seated beliefs about birth, choices, and the rights of birthing women. While we know that doulas should work to let go of their own plans or desires for a birth, these deeply held beliefs and emotions will arise. The question then becomes, how does a doula work through these emotions so that she is best able to provide care for her client and care for herself as well? There are three ways that can help doulas work through negative emotions that will provide them with help for their own psychological well being and allow them to provide better support for their clients. The first one is problem management, or learning how to deal with the events that surround the emotions itself. This includes active coping, looking for more information, and problem solving. 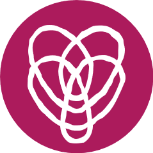 Active coping includes things like defining boundaries for what you can and cannot support or advocating for better birth practices or rights. These things can and should be done independent of your client and should not be done at the moment the woman is in labor. A doula can also look for more information regarding care practices or how to best support women in labor. Problem solving may include things like team building or communicating with care providers. A second way to work through difficult emotions is by using meaning based coping methods. This includes using positive reappraisal (changing the way you think about a situation to be more positive), revising your goals, spiritual believes, or finding positive associations. Emotional regulation is another way to work through these emotions. Some ways of regulating our emotions have been shown to have a negative effect. These include things such as avoidance, denial, or suppression of our emotions. Thus, even if we do not want to have negative emotions, pretending like they are not there is psychologically unhealthy. One way that has been found to both support psychological health and positive reappraisal is social support. When dealing with negative emotions that may attend a client’s birth, emotional support, in particular, may be of great help. The type of support received also appears to matter. If the support is more critical in nature, maladaptive coping methods appear to be more prevalent. If it is encouraging, it supports positive measures of adaptation. By utilizing some of these coping mechanisms, a doula should be able to provide self care and manage negative emotions that may arise surrounding birth and their clients.